There have been a lot of question swirling around Konami and what the future holds for them. Reports that Konami would exit the console business entirely are still being bandied about, to which the company has said, "don't believe everything you read." Regardless of what the future holds, we'd love to see these eight great Konami franchises continue, even if Konami walks away from games development. Whether the IPs are sold, or just licensed for use, these franchises deserve to live on. 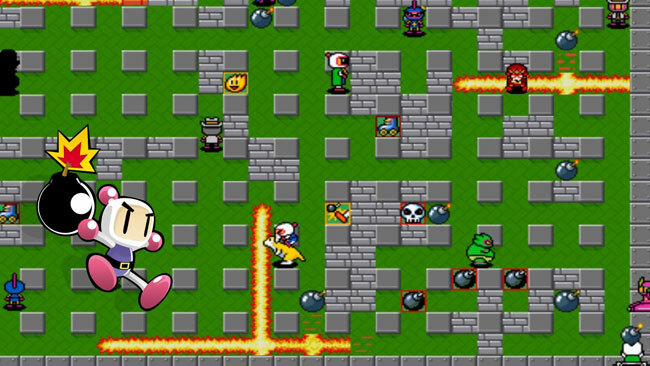 With the exception of an iOS release in 2014, Bomberman has not been seen or heard from since Konami absorbed Hudson Soft in 2012. Gameplay is usually puzzle-based, with the player needing to use bombs to kill enemies, destroy obstacles, and open a path to the exit. However, there are a number of other genres with Bomberman games as well, including platformers, kart racers, and more. I'm not sure why Konami hasn't made more use of the franchise, but I'd love to see it return.